Tracking has been around since the beginning of time. It probably began when men realized they were hungry. They tracked their Chase by learning the flora and fauna in their geographic environment. Through trial and error, and loss of life, tracking was refined over the centuries. Families, tribes, and colonies with their scouts used tracking skills for their survival, commandeering needed commodities and control of their domain. “Poor Elk followed about a mile to where the pursued party had camped. He brushed away the ashes from the dead fires and felt of the earth underneath, examined the droppings of the animals, counted the number of fires and noticed, by marks made by the pins, the size of the lodges; carefully scrutinized some moccasins, bits of cloth, that has been thrown away; noticed that the moccasins were sewn with thread instead of sinew and were made as the Sioux made them… A sweat-lodge had been built, indicating that they had remained in camp at least on day, and droppings of the animals determined that the stay had been but one. The position of the camp, the tying of the animals near the tepees and the wickiups, the number of lodges, the care taken by the Indians in leaving, all these things furnished evidence as to the number of Indians and animals and the number of days since they had camped there. Though moving steadily, yet they were in no special hurry; were Sioux and not Cheyennes; had recently left an agency; had not crossed the Yellowstone at the time reported, but two days earlier; were evidently a party of Sioux who were on the way to join the Indians north of the British line. In fact, the record left by these Indians was as complete as though it had been carefully written out.” The Soldier, The Old West Series (New York: Time Life Books, 1974) 117. In the mid-60s, GEN William Westmoreland was sick of hearing that “VC owned the night and they just melted into the jungle.” He learned that the British were well- versed in reconnaissance and hunter-killer teams which used tracking. Westmoreland secretly ordered U.S. Army Infantry units to be trained in Combat Tracking by British SAS in Johore Bahru, Malaysia. The missions of these very successful U.S. Combat Tracking Teams in Vietnam were kept secret until recently. The teams were broken into small elements, under the command and control of the intelligence officer at brigade and division levels. They were so successful, in fact, that the Army opened a Combat Tracker Course at Fort Gordon, Ga. 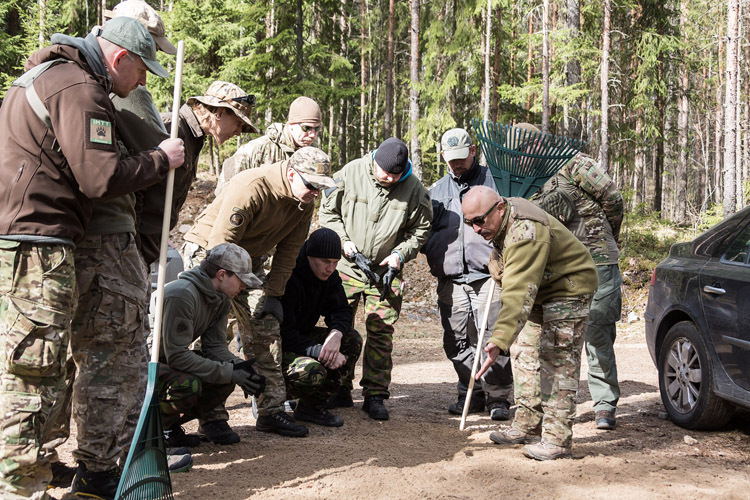 The course was shutdown in the early 70s, and no U.S. unit was taught combat tracking at a U.S. recognized Combat Tracking Course until the opening of courses like the one taught by Human Interdiction at various location that in now also being taught in Finland under IMTT Human Tracking Division. For an entire generation servicemen were sent to foreign courses or to civilian courses throughout the United States to learn tracking. Though these courses had (and continue to have) a degree of merit, they offered a watered-down version of the tracking skill without a common purpose, language or doctrine. In order to meet the need for correct instruction, the US/NATO and Allied Military contracts Human Interdiction which is also a Division of IMTT in Europe to develop a common goal, language, and a constantly evolving doctrine, dependent on the enemy’s changing TTPs. Now Unconventional and Conventional units may be formally taught Human Tracking throughout the world by the Mobility Training Team. The gathering of immediate actionable intelligence by Unconventional and Conventional units, through tracking patrols, will add to the intelligence cycle. The tracking skill will enable the Soldier (human sensor EH2) to answer the commander’s critical information requirements. Today the free world is fighting an unconventional enemy; thus, it is necessary to learn an unconventional way to outwit the insurgents by exploiting their weakness. 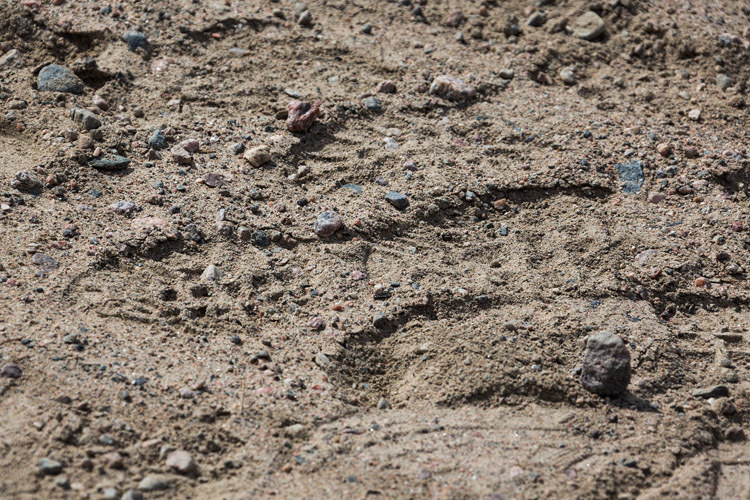 Their asymmetrical weakness is the discernible number of human indicators they leave behind —tire prints, hand prints, and footprints, as well as other human indicators that a trained Human Tracker can decipher. Through practical application during the the course, Soldiers learn to track using no technology, using off the shelf technology, and using high technology accessible to the student. The enemy can run, but not hide from well-trained Human Trackers. Since every human is a sensor (EH2), tracking skills optimize and bring to full use their’s human senses. Diaz has developed a combat tracking course that fits the operational needs of any unit base on unit’s Human Tracking need. Modern technology, in its use in tracking humans is, but an extended tool for the human sensor. 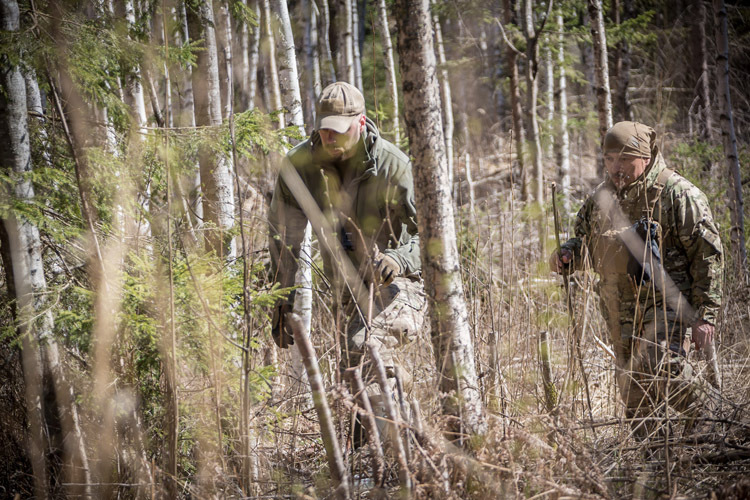 When technology fails to operate, a skilled Human Tracker will continue their human tracking mission through their natural senses applied to their tracking skills. David Diaz is retired from the US Armed Forces where he served in both the Marine Corps and U.S. Army Special Forces. Diaz is an author of “Tracking Humans”. He first learned about tracking from an indigenous Malaysian who hunted insurgents in the jungles of Malaysia. Diaz fine-tuned his craft through years of dedicated study and instruction from the finest trackers throughout the world, including the Dyak/Iban of Brunei. Nigritos from the Philippines, the San Man of Botswana, the Bedouin of the Middle East, and U.S. Vietnam-veterans Marine Trackers who gained their skills from the Montagnards in the highlands of Vietnam, Laos, and Cambodia. 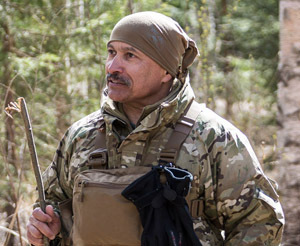 Diaz continues to teach this skill to all branches of service, law enforcement, NATO and allied forces worldwide in hostile and non-hostile environments.